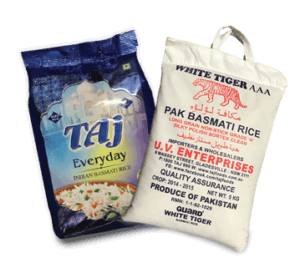 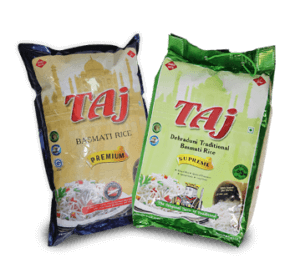 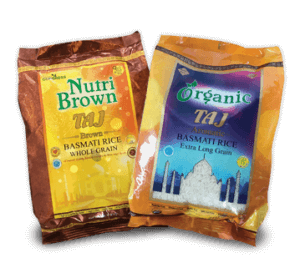 Taj Supreme Traditional Dehraduni Basmati Rice is our finest among all the varieties of rice that we offer. 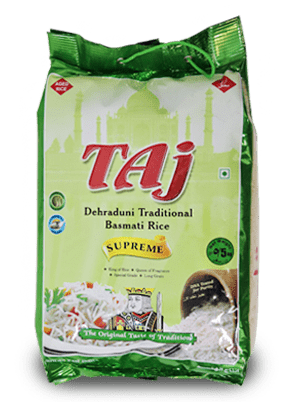 The magical aroma, delicate fluffy texture, tantalizing flavor and sweet taste can only be of Taj Supreme Dehraduni Basmati Rice. 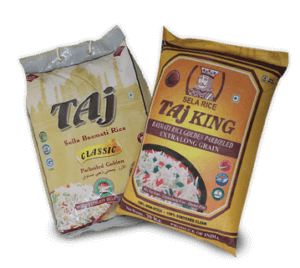 Taj Dehraduni a.k.a King of Rice is processed with Pure Traditional Basmati Rice (Tarori) Grains which are harvested only once a year, unlike other Basmati varieties that have multiple harvests. 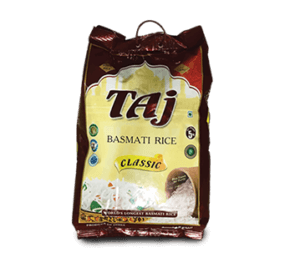 Like fine wine, the Flavour of Basmati matures with age and we provide nothing else but a Genuine Two Year Old matured crop that makes this rice truly special.